Porous Hair Anyone?? - Hairlicious Inc. Does your hair constantly feel dry after you've moisturized it? Does your hair feel dry and brittle despite the amount of times you deep condition? Is your hair dry and frizzy throughout the day? Does your hair hold a style/curl well? If you answered "yes" to all of these 4 questions, you may be suffering from hair porosity issues. It's O.K! At one point I answered "yes" to these questions and there are solutions out there! 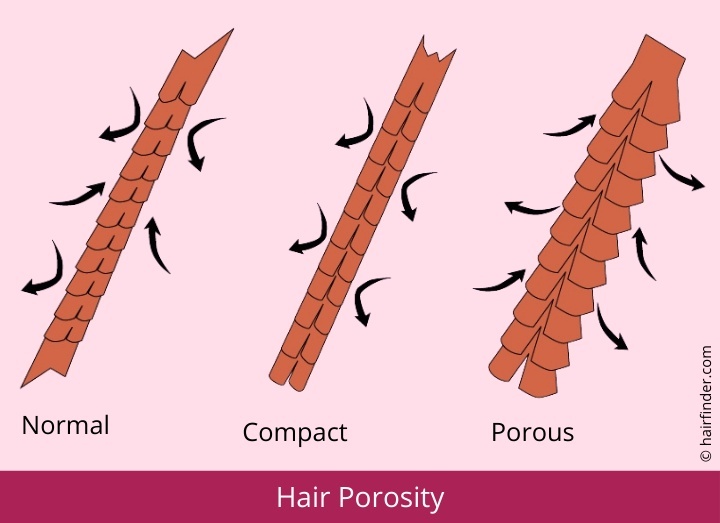 Porosity is the hair's ability to absorb moisture. This is determined by the condition of the hair's cuticle layer (the overlapping scales of the hair shaft), and is rated as low, normal, and high. With normal healthy hair, the cuticle is compact and prevents the penetration of the hair shaft by moisture (both moisture going in & moisture coming out). When the cuticle is too compact it prevents the penetration of moisture, meaning it has low porosity. Hair with low porosity is harder to process, and is resistant to hair color and perms. Low porosity hair must usually be softened before chemical services. Hair with high porosity is hair whose cuticle layer is open and the hair too-readily absorbs moisture. Overly-porous hair also releases moisture easily and becomes dry and is prone to damage. Perms and straighteners will process much faster in high-porosity hair. Acidic treatments can temporarily correct porosity issues. Are we supposed to do either/or? Or both treatments should be used? If I buy The Roux Porosity Shampoo and Conditioner, should I do the ACV rinse? And do I have to buy both the Shampoo and Conditioner, or is buying and using one effective enough? I just use the Porosity Control conditioner and that works wonders for me. I think it's different for everyone. I just tried this last night. I bought both the roux shampoo and conditioner, and did the acv rinse + protein treatment. I have determined that my hair's cuticle is waaaay too compact. it is frizzy 100% of the time and has very low porosity. It just got this way about a month ago. Is there anything else I can do? I just want my sleek shine back? yes you should cut off split ends as soon as possible because the split can continue to travel up the shaft making the section of frizz at the bottom even bigger. you should try and seal your ends as much as possible especially after trims as this will help prevent future splits. splits (and the dreaded single strand knot) are not reversible, mid shaft or ends. It will probably break off. I snip them out because they can get tangled with surrounding strands. Best bet is to try and prevent them. At least once a month is perfect!